There are no photos with those IDs or post 25955 does not have any attached images! · The Ethnographic Museum of the East of Asturias of Porrúa, together with the Network of Ethnographic Museums of Asturias, has opened the itinerant exhibition to the public last Friday 6 of July GRABADOS by José Cuevas, which includes a selection of 26 prints by the Asturian artist (Oviedo / Uviéu, 1844 - Madrid, and 1929-1930) and which are part of the collection of the Museu del Pueblu d'Asturies. The exhibition can be visited during the months of July and August in the temporary exhibition hall of the museum, in Porrúa. · Exhibition of pictorial work by the students of the Painting Workshop of Margarita Alonso Saiz, given at the Casa de Cultura de Nueva. (Until the 30 of July). · XV Gala of Tonada Asturiana de Nueva de Llanes. (Friday 13 of July at 19.30 hours at the Polideportivo de Nueva). · Hiking route Mestas-Ardisana. Departure from the Puente de Nueva to the 10.00 hours. Low level. Approximate duration of 3 hours. You must register by calling 985 41 01 06, from Tuesday to Friday, from 16.30 to 20.30 hours. · Storytelling dramatized Saltarela. (Thursday 19 of July at 19.00 hours). · Concert of the San Martín de Sotrondio Choir. (Sunday 22 of July at 19.30 hours in the New Parish Church). · Storytelling and Trasgu workshop, the Time Traveler, by Almudena Avello, for children from 5 to 10 years. (Friday 27 of July, 18.30 hours). · The Celebrations of Santa Ana in Ships of Llanes will have this year with the group "Social Security" in concert. They celebrate the 26 of July. · From the 27 of July to the 19 of August. Show "The Tower of Tales", in the Medieval Tower. All ages. Passes of 30 minutes. Friday, Saturday and Sunday 18: 30, 19: 30 and 20: 30 hours. Free and free. · 28 July. Ham cutting exhibition, organized by the Association of Ham Cutters of Asturias. Square of the Barqueras. Until the next September 2 will be in operation, for the third consecutive year, both bus routes Playas de Llanes. · Route 1, Llanes-Posada: will work daily from 7 from July to 2 from September. 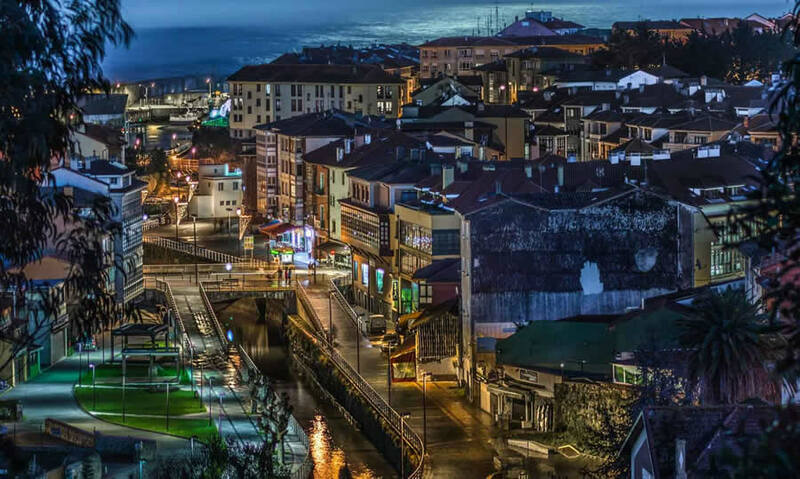 The buses will complete an itinerary that will depart from the Llanes station and continue through the towns of Poo, Celoriu, Borizu, Barru, Niembru, Bricia and Posada, round trip. The estimated total duration per trip is half an hour, with a step frequency of one hour. This tour will allow users to serve part of the busiest beaches and, by connecting the two most inhabited areas of the council, also meet the mobility needs of tourists and neighbors. In addition, a special line will be operative from the 15 to the 29 in July for the celebration of a Beach Volleyball Campus in the town of Barru, which will leave the village at 09.15 hours and return to the 19.45 hours. · Route 2, New-Beach of Cuevas del Mar: It will work in a similar way to last year. It starts tomorrow 7 July Saturday and during this month will be operational only on weekends. Throughout the month of August and until the 2 in September the service will be daily. The frequency of passage will be every half hour. · 21-23 September. International Concentration of Vespas and Lambrettas de LLanes. They collaborate this year with Galbán. Association of Families of Children with Cancer of the Principality of Asturias.